Todd W. Schluesche is one of the firm’s partners. Todd was raised and lives here in Green County. He graduated from the University of Wisconsin-Oshkosh in 1991, and from the University of Wisconsin Law School, Madison in 1994. Todd has been with the firm since 1996. Todd represents clients in a wide range of areas including personal injury, estate planning, real estate, and business matters. 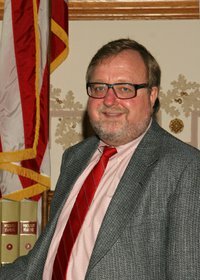 In addition, Todd is counsel to a number of area banks and is the municipal attorney for the Village of Albany and for the Village of South Wayne. Todd is active in the community and is on the board of directors for the Green County Family YMCA, Camp Gray Catholic Camp, and Jacob’s SWAG Foundation. He is a member of St. Clare of Assisi Parish, Monroe and is a former chairperson of the St. Victor School Educational Advisory Board. Todd is the secretary-treasurer of the Green County Bar Association, and he is also a member of the Monroe Fund advisory board for the Community Foundation of Southern Wisconsin. Todd and his wife Dolly are the parents of three children. Todd is an avid curler and is a past president of the Alpine Curling Club, Monroe. He also enjoys kayaking and attending his children’s events. Scott Thompson is a partner in the law firm of Kittelsen, Barry, Wellington, Thompson and Schluesche. Scott specializes in estate and tax planning, trust estates, probate and divestment law. 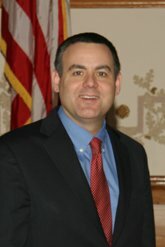 Scott is a member of the Academy of Elder Law Attorneys, both at the state and national level. Scott received his law degree in 1984 from U. W. Madison Law School. 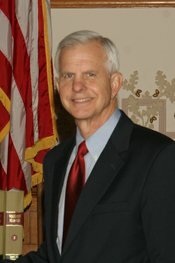 He has practiced law in Monroe for 32 years. Scott Thompson is also the morning host of the BIG FM 93.7’s Morning Mess radio show and is the owner of BIG RADIO, which has 9 radio stations located in Monroe, Janesville, Beloit and Freeport, Illinois. Amanda M. Fields is a graduate of the University of Wisconsin-Madison, with degrees in Economics and Political Science. She is a graduate of the Creighton University School of Law, in Omaha, Nebraska where she earned the CALI Excellence for the Future Award in the practice area of Elder Law. Amanda’s practice focuses on divorce and family law, elder law, estate planning and administration, real estate, small claims and landlord tenant issues. 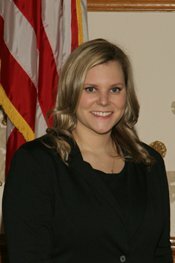 Amanda is a member of the Wisconsin State Bar Association and its Family and Elder Law Sections, Green County Bar Association. She is a graduate of Green County Leaders program and a member of Rainbow Childcare Board. Amanda and her husband Mark live in Monroe. Amanda enjoys curling, traveling and going to Wisconsin Badgers sporting events. 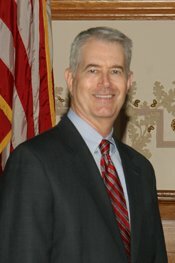 Charles R. Wellington joined the firm in 1979 after spending five years in the Judge Advocate General Corp. of the United States Air Force. Since joining the firm, he has handled a variety of legal matters, but currently limits his practice to real estate, estate planning, and assisting his business clients with their legal affairs. Chuck graduated from Denison University in 1971 and received his law degree from Washington University in St. Louis, Missouri in 1974. Chuck is licensed in Wisconsin and Illinois. He has practiced for over 40 years. He continues to serve on numerous community boards, is involved in agricultural pursuits, and enjoys all outdoor activities with his family.